1st Mortgages: We offer Conventional, FHA and VA 1st Mortgage programs with flexible terms and competitive rates. We look forward to helping you finance the home of your dreams or refinancing your existing 1st Mortgage. Our rates change daily, so contact a Mortgage Loan Officer for details. Auto Plus: This vehicle purchase loan is a combination of a regular vehicle loan and a second mortgage. When you purchase or refinance your vehicle with the Auto Plus, we'll record a mortgage lien and hold the title to your vehicle. You'll want to seek advice from your tax advisor to decide if this unique vehicle loan will benefit you before you proceed with the loan application. Consolidation Loan: Stop paying five or six bills every month. Look to your Credit Union to help you consolidate those high interest credit card bills or other loans. A Consolidation Loan can help save you time by eliminating the time you might spend each month paying a variety of bills. Consolidate them into one at Firefighters Credit Union and have one payment deducted from your payroll or direct deposit. It'll make paying your bills virtually transparent and save you time AND money because of the competitive rate we have to offer. 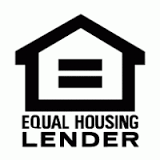 Credit Builder (or Re-Builder) Loan: We all run into tough times periodically. If you've had a hard time establishing or maintaining good credit and want another chance to build a good credit rating, our Credit Re-builder Loan could be your answer. We will loan you up to $2,000. The funds from your loan will be placed into an interest-bearing savings account in your name and used as collateral for the loan. As you pay the monthly payments and the balance of the loan decreases, the amount you have available in the secured account will become available for you to use. Save the money and at the end of your loan term, you'll have a nice little nest egg waiting for you. As you make your payments on time, we'll report your timely payments to the Credit Bureaus, helping you establish or re-establish a good credit rating. What's best? There's no income verification, no co-signer required, and no need for established credit. Home Equity Line of Credit: Put the equity in your home to work for you, and possibly benefit from an additional interest tax deduction, "Consult a tax advisor regarding the deductibility of interest". Use this loan for any provident purpose, including home improvement, a vacation or automobile purchase. Overdraft Protection: Attach this protective loan to your Share Draft Checking Account and enjoy the freedom of knowing that you have extra money available from your Share Draft Checking Account if you ever need it. Flexible rates and terms are available. Personal Loan: Request a flexible personal loan for just about any worthwhile purpose. Share Secured Loan: Have a Share Certificate or savings at Firefighters Credit Union that you can use as collateral? Use this competitively priced loan as your tool to gaining the funds you need right now. Recreational Vehicle Loan: Time for a fun new mobile? How about an RV, boat, trailer or jet ski? Firefighters Credit Union is here to help you finance any of these fun purchases. Vehicle and Motorcycle Loans: Have you been desiring to purchase that new or used car or motorcycle you've had your eye on? Why not get pre-approved at Firefighters Credit Union before you go shopping. Doing so puts you in the driver's seat when negotiating your vehicle purchase with the dealership. Depends on the year of vehicle and credit score. VISA® Credit Card: No annual fees, low interest rates and flexible credit limits and repayment terms. This card is hard to beat. Apply for yours today and get the credit you deserve by carrying a card that has world-wide recognition. Secured VISA® Credit Cards are available too.